I can hear you guys now yelling at the screen. I thought you were going to tell me how to take better pictures NOW! Ok, ok… I can do that. The rule of thirds is very simple and it’s easy to apply to almost any image. Basically, you overlay four bars on the image. These bars break up the photograph into three separate segments. 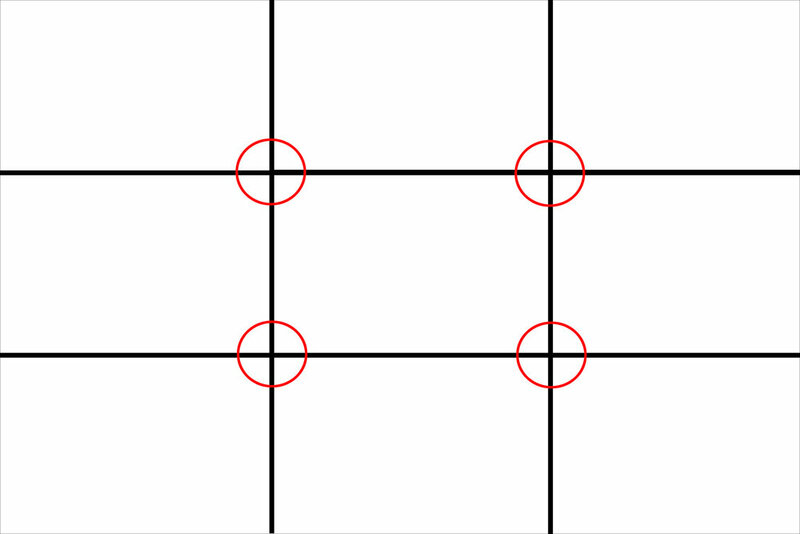 Where these segments intersect or cross, indicate where the focal point of the image should be placed. It’s that easy. Yes, it really is. I use it all the time. In fact, It has gotten to the point that most of the time I don’t even know I am using it. Every photograph you take and have applied this rule to will be better. In fact, I bet you have used it and didn’t even know it. Go back and look at some of the best photographs you have taken. No, I am not talking about the photographs of grandma that you took as a kid and love it because it reminds you of grandma. You like that photograph for a totally different reason. Someone who never met your grandma probably won’t feel the same way about it as you do. I am talking about the photograph that you took that just seemed amazing and you really didn’t know why. There is a good chance you can see where this rule is why it is one of your favorites.